The world’s biggest mobile phone gathering is about to commence in the next few weeks, and we just can’t contain the excitement. This show will mark the start of the season for this year’s major smartphone launches. 5G will definitely be a buzzword, along with next-gen smartphone designs such as foldable screens. Of course, the main attractions will definitely be the flagship phones that the big guns will be unveiling at their respective press conferences. So if you’re wondering what all might be in store for us this Mobile World Congress, you’ve come to the right place. Samsung’s major press conference will be happening a week before the MWC, so you can expect the S10 smartphones to be unveiled there. However, the South Korean giant will indeed be present at the event, and we expect other important products to be showcased by there. It could even reveal its foldable Galaxy smartphone, which has been churning the rumour mills since a very long time. This phone will apparently host a 7.3-inch screen when unfolded. There’s talk about a Galaxy Active smartwatch as well, so the South Korean giant could use the MWC stage to unveil that. The LG G8 ThinQ has been all but confirmed for an MWC debut. One of its main features is being said to be a 3D imaging-based face unlock technology similar to what the iPhone has. But that’s not all; rumour has it LG will also be revealing its very first 5G phone at this event. This device will apparently run on the Snapdragon 855 platform and sport a 4,000mAh battery. But does this mean that the LG G8 will feature the inferior Snapdragon 845 processor? Let’s wait and watch. There are also rumours of a budget-centric K12+ to be unveiled at the congress. Sony has scheduled a presser for February 25th, and many believe that the Xperia XZ4 will be unveiled at this conference. Some really interesting details about this phone have been seeping out lately. It will supposedly ship with an extremely wide 21:9 aspect ratio display. Moreover, there’s even talk of a beefy 4,400mAh battery going inside it, apart from the Snapdragon 855 chipset. Nokia is known for debuting multiple devices at the MWC, which is something that could hold true for this year as well. We could get to see the rumoured Nokia 8.1 Plus with a punch-hole camera. 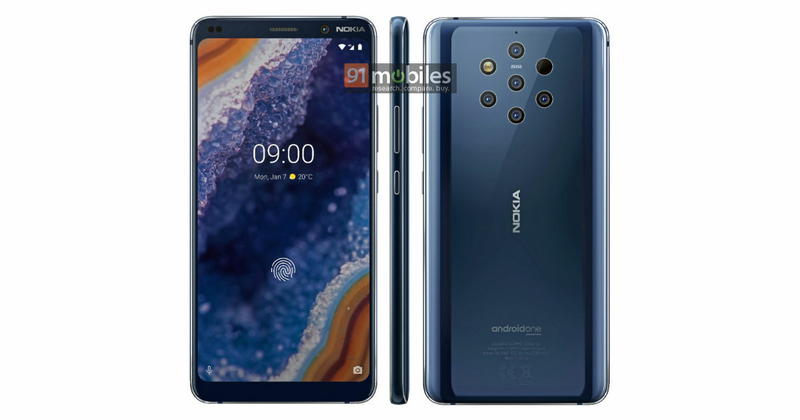 But the main reason many are looking forward to the February 24th’s press conference from the company is the long-delayed Nokia 9 PureView. This phone has apparently been blessed with a five-camera system, and is set to the mark a return of the PureView branding. Xiaomi is another company to have scheduled a press conference at this year’s MWC. This one will take place on February 24th, and although we have no clue about what’s on offer, we could guess that a 5G version of the previously unveiled Mi Mix 3 (first impressions) could be launched here. There’s a great reason to look forward to OPPO’s presser at the MWC. The Chinese brand has already confirmed that it will be showing off its 10x zoom lens at the event. Whether it will be attached to a concept device or a market-ready one is the real question. This technology is expected to be similar to the 5x zoom tech the company had unveiled a few years ago. It uses a periscope-style prism and harnesses the lateral width of the phone to allow physical depth. Vivo has also told us what to expect from its conference. The APEX 2019 concept, which ships with a full-screen front surface with no visible front camera is what we’ll get to see. It’s a 5G-compatible handset with a hole-less design. You’ll be able to charge it using the magnetic pins on its rear surface, and it will make use of the ‘body soundcasting’ technology to emit sound. Last year’s APEX device was the base for the company’s innovative NEX smartphone, so expect the same to be the case this year as well. With the Moto G7 range already unveiled, Motorola might just surprise us with by taking the wraps off the rumoured Moto RAZR refresh. If leaked documents are to be believed, this phone will follow the flip design philosophy of the original device, but will couple it with a foldable display rather than placing a keypad below the screen. It is also predicted to be a limited edition launch, with only 200,000 units having been sanctioned for production. There has been a significant drop in the number of phones HTC has been releasing lately, so its MWC predictions are difficult to make. The only phone that can be expected to make a debut here is the updated version of the mid-range HTC U12 Life (first impressions), which could ship with 6GB of RAM and 128GB of storage onboard. The P30 and P30 Pro handsets from Huawei have been buzzing on the interwebs a lot lately. However, the P20 range (review) was unveiled by the company in March last year, so if Huawei does follow the same pattern, their presence at the MWC is doubtful. That said, the brand has scheduled an event for February 24th, where we could see a foldable smartphone or even a 5G-capable device. Invites have been sent by Microsoft for a press conference taking place on February 24th. Satya Nadella will be present at the stage along with Alex Kipman, who is in charge of HoloLens. This leads us to believe that the HoloLens 2 is on the cards. What’s more interesting is that the new product is rumoured to feature a Snapdragon processor, a smaller body and a bigger battery. The Redmond giant has invested a lot in its mixed reality offering, so it would be interesting to see what route it wants to take with second-gen HoloLens. We’ll be bringing you detailed coverage from the Mobile World Congress in Barcelona, so stay tuned to 91mobiles.